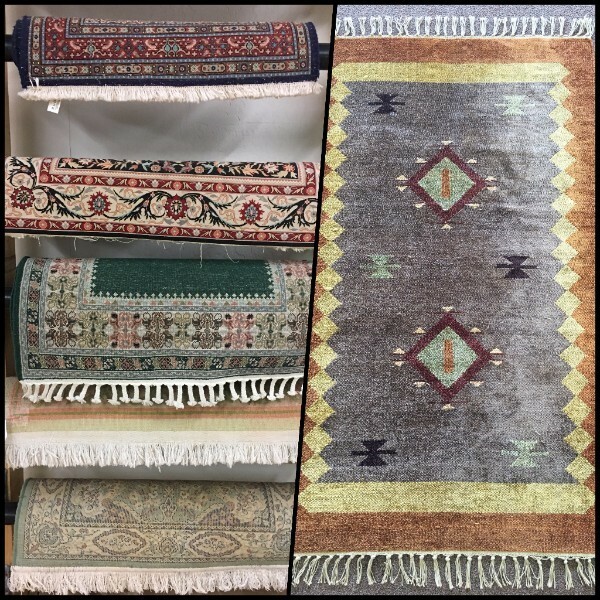 WE HAVE AN ECLECTIC COLLECTION OF USED RUGS FOR SALE AT OUR OPEN HOUSE. FROM NATURAL HAND KNOTTED PIECES TO SYNTHETIC MACHINE MADE. FROM DOORMAT SIZE TO PALACE SIZE! STOP BY OUR OPEN HOUSE! FRIENDS & FAMILY: Come by to see Scott & Miranda! PUBLIC: Learn more about HOW area rugs are cleaned. FELLOW CLEANER INDUSTRY PEEPS: Come by & talk shop! 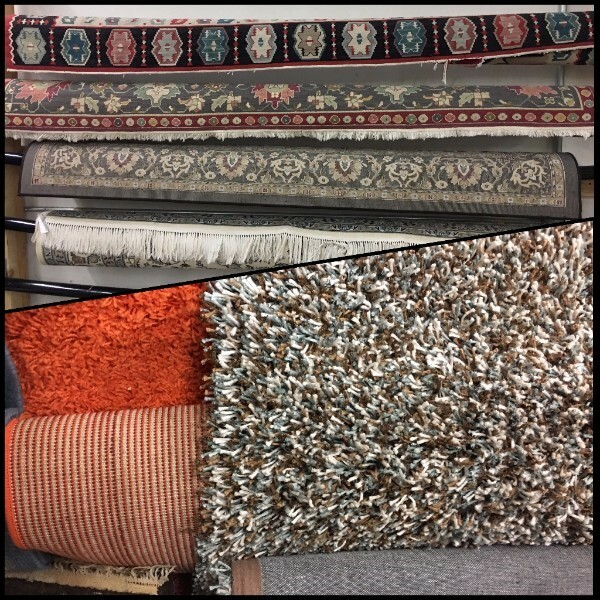 DESIGNERS: Learn more about what to look for when you are SHOPPING for rugs for yourself or a client. EVERYONE: Support Local Business! Used rugs and New custom cut rug pad for sale. USED RUG SALE THIS WEEKEND ONLY! We are in the business of CLEANING rugs, not selling them. HOWEVER…since we’ve been on the rug scene for quite sometime our own collection of used rugs has grown and overgrown. It’s time to let some of our rugs go. CAN’T FIND THE RUG YOU WANT? Allow us to refer you to some Valley rug retailers. Just let us know what you’re looking for as well as your price range.